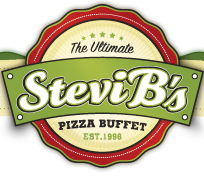 To add to its extensive specialty pizza lineup, Stevi B’s Pizza married two American classics—pizza and Chicken Cordon Bleu—to create its new Chicken Cordon Bleu Pizza. Stevi B’s Chicken Cordon Bleu specialty pizza starts off with fresh, made-from-scratch dough. It smothers its lightly cooked crust with an alfredo sauce and tops it with onions, tomatoes, and chopped grilled chicken. Two varieties of bacon adorn the top of the pizza, including Canadian bacon, and it’s swirled with 100 percent real mozzarella cheese. The limited-time-only menu item will only be available beginning September 8 at all Stevi B’s Pizza locations.